Commune politics around coffee is complex. For starters, coffee is addictive. Coffee is also not especially healthy for you. It is (in the commune economy) expensive. It is not universally desired (perhaps 1/3 of the members of Twin Oaks drink it – wild estimate). Yet, coffee improves worker productivity. Coffee also makes many workers happy. My very first political controversy in the community was about coffee (i was blissfully on the sidelines of this one). At the time the community was spending $8K a year on coffee and it is it’s own budget item. It was my first year (1998) and the community ran its democratic budgeting exercise called the trade-off game. Members got to prioritize the items they wanted with the forecasted labor and money budgets. The last item popularly chosen by the group was coffee, only it was selected when we only had $4K left in the budget. So the planners at the time decided that they would solve this problem by simply having coffee for the first half of the year and then stop. Someone forgot to inform them that coffee is a highly addictive substance. It is not the case that only half of the community drinks the stuff. But it is certainly the case that well over half the community either drinks coffee OR is intimately affected by the mood of a community coffee drinker. An override was circulated (this is like a binding petition) and the planners coffee ban was overturned in 3 days – the fastest override i have seen in my 15 years at Twin Oaks. For some years coffee has not been universally available at Twin Oaks. Unlike almost everything else which is distributed on the commune and given freely to all members, coffee is taxed. Coffee is dispensed at the hammock shop and at the wood shop which works on hammock spreaders and hanging chair frames. The coffee is provided by the hammocks business as an incentive for workers in these areas to come in and be productive. Technically, you should be working in the hammock or wood shop to be drinking this coffee. But this accounting trick is not lost on some members. What does it mean that the hammock business buys the coffee in the context of an income sharing egalitarian community? Not much actually. It is all of our monies, why should hammocks managers (of which i have been one) get to decide how much is spent on coffee and who gets to drink it? So some people, who don’t work in these areas breeze into the hammock shop and take a cup of coffee. And thus the confusion around this dark dreamy drug lingers. I was just reminiscing the other day about the time at Dandelion Community when the world price of coffee jumped a lot and we had (seemingly) endless discussions about coffee’s role in human life and in community budgets. Food? Not food? What about chocolate? White sugar? Avocados? (just kidding about the avocados) Also there was much talk about what was the most cost-effective form of coffee. We bought no-name instant for awhile. (“No-Name” was printed prominently on the bright yellow label; it was sold at Loblaws supermarkets.) That was the late 70’s. LOL!!! Well, as a guest, I didn’t know where the secret coffee stash was located. I can go without coffee, and I did during my visit there, but it sure makes things nicer on an early cold morning. Had I known, I would have gladly contributed some hammock labor, or a few $$, to cover the pleasure of having coffee in the mornings. Live and Learn! Also a guest this summer and I did notice immediately the absence of coffee. However when away from home base I abstain as it just seems to free me up from that habitual thing. 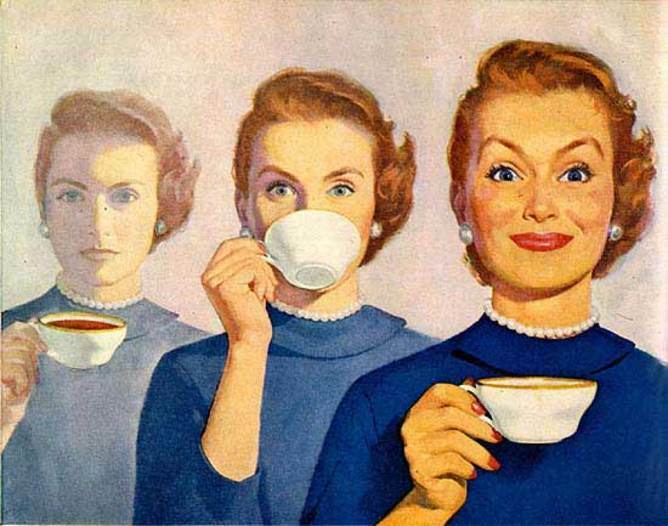 I was just thinking about communal coffee at TO a few days ago and wondered about tea. 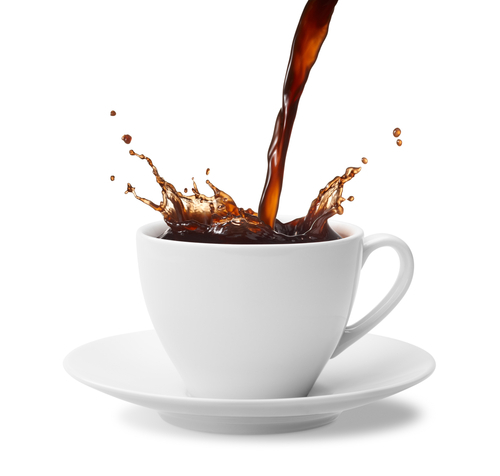 Coffee isn’t addictive – caffeine is. Are caffeinated teas readily available? I remember lots of herbal teas, but what of other teas? There are many teas, herbal, decafe and regular. We are rich in teas. Very interesting. As a coffee-drinker visiting TO some years ago I distinctly remember switching to the black tea that seemed readily available at the time. It was not unpleasant. If memory serves, alcohol comes out of personal earnings — I’m assuming it would be quite unpopular to do the same with coffee. You can buy coffee with your personal money, but i am a tripper (a community shopper) and i almost never buy coffee. While i get some type of alcohol (usually beer) on almost every run (there are 100 of us after all). We have discussed alcohol at hx shop events, tho it seems enticing at first blush, what the hx managers report is that the error rate goes way up. In the early 2000s, I led a short-lived campaign to stop subsidizing coffee. I thought it was discriminatory. Why weren’t my Cocoa Puffs funded? But the tiny number of us who worked to change that policy won the victory once we lost the Pier One account and had to go into austerity mode. Most of us who drank coffee simply budgeted for it from our meager earnings. Cigarettes and beer weren’t paid for by the community, but somehow, people who smoked and drank managed to afford it, and those are *much* more expensive than sugary breakfast cereals. I was always irked that those of us trying to eat healthier (once I gave up nutrition-deficient snack foods) had to pay out-of-pocket for things like olive oil (because the community used cheap hydrogenated margarine in the food we all ate). I’d love to see the food budget dramatically increased so as to rid the kitchen of unhealthy items like trans-fat oils and HFCS (like the “maple” syrup served every Sun.). The transfats are going. The mock maple syrup lingers. Yay for the banishment of hydrogenated oils! Boo to the continuation of HFCS! Perhaps there is a small trade-off though since more coffee may = more poop = more compost. Coffee does not change the quantity of poop, it only makes its passing more urgent. I thought when I was at EW (early 90s) coffee did come out of df (personal money). I wasnt doing caffeine at the time, so I dont really remember if there was black tea or not, but I suspect there was. there was always lots of herbal tea. The bigger problem came when the community tried to stop buying sugar, and now every coffee drinker had their own stash of sugar . . . messy and buggy. I used to love coffee. Nowadays it sends me on a roller coaster ride ending in depression and misery. Be a good fellow and pass the tea, will you? Indeed, bring your own coffee. Looking forward to your visit.